The researchers call the membrane a ‘memzyme’ because it operates like a filter but is near-saturated with carbonic anhydrase, an enzyme “developed by living cells over millions of years to help rid themselves of carbon dioxide efficiently and rapidly.” University of New Mexico professor Ying-Bing Jiang came up with the concept of employing watery membranes, inspired by processes in the human body that separate out CO2. Brinker said the arrangement of the membrane inside the flue of a generating station would be similar to a catalytic converter in a car. The work is patented and energy companies have shown interest. In addition, the membranes have worked efficiently for months in laboratory settings. Nature Communications published the work online earlier this year; researchers from other institutions in the United States contributed. 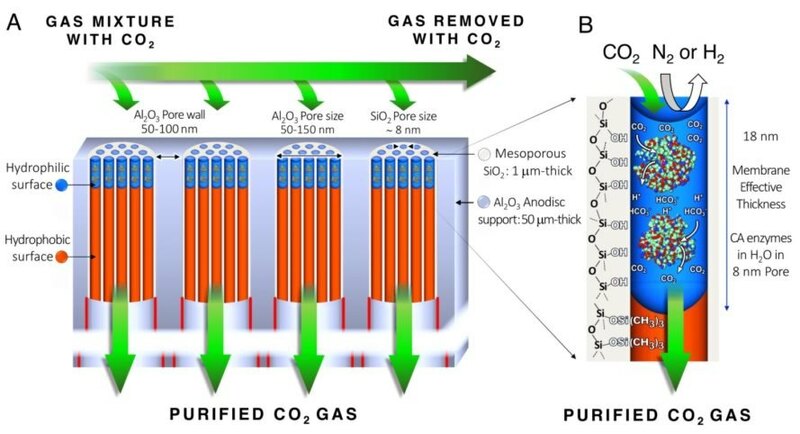 Researchers are working on a membrane able to capture carbon dioxide in coal smoke. A biologically inspired membrane rids coal smoke of carbon dioxide. Sandia National Laboratories fellow Jeff Brinker, pictured here, led the project to develop the membrane.